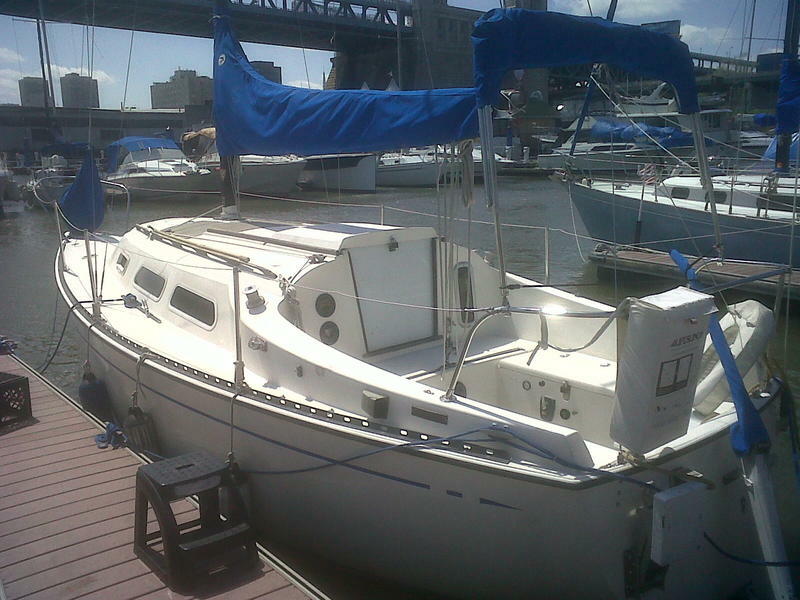 Become the owner of this AMF built Pace Ship Yacht, which has been described by Tony Gibbs as the bench mark 26 foot Coastal Cruiser. 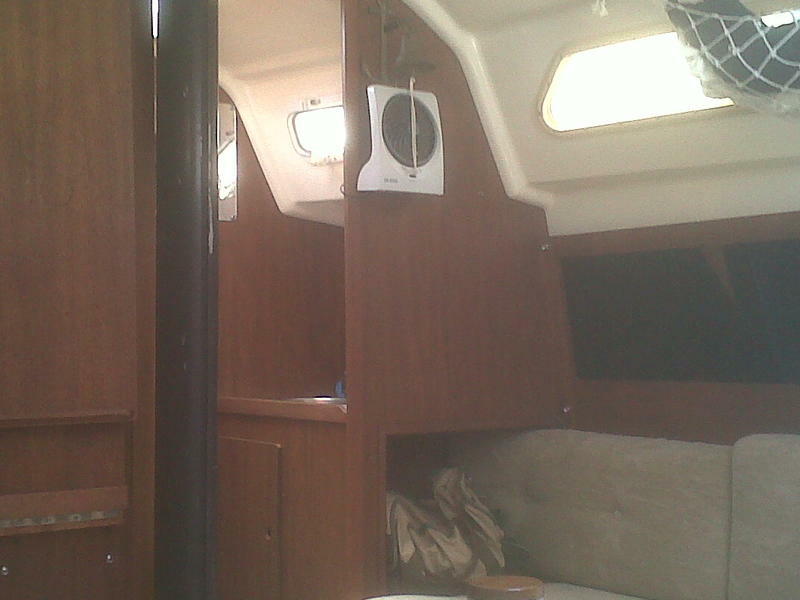 Adventure sleeps 5- (V berth, 2 side berths and a quarter berth)- with portapotty and full galley (2 burner propane stove) and icebox and is powered by an 18 HP inboard sail drive 2 stroke engine. Danforth Anchor and new rode. 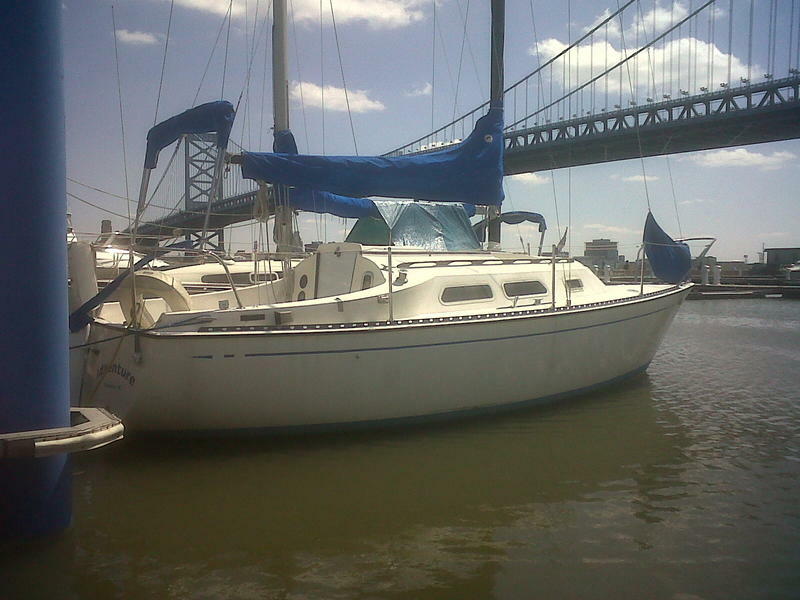 Draws 3.5 feet with swing keel up; 6.5 feet with swing keel down. 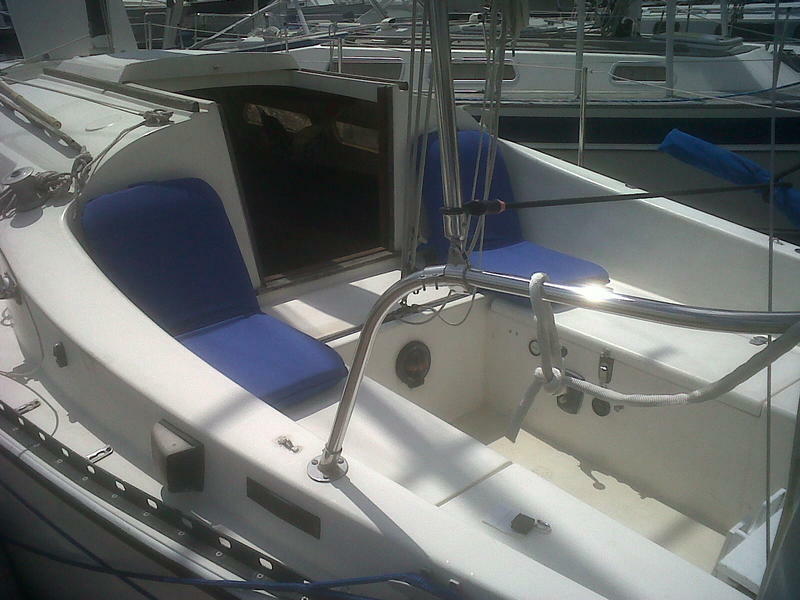 New halyards in 2009; reconditioned sails in 2011; Genoa in good condition. 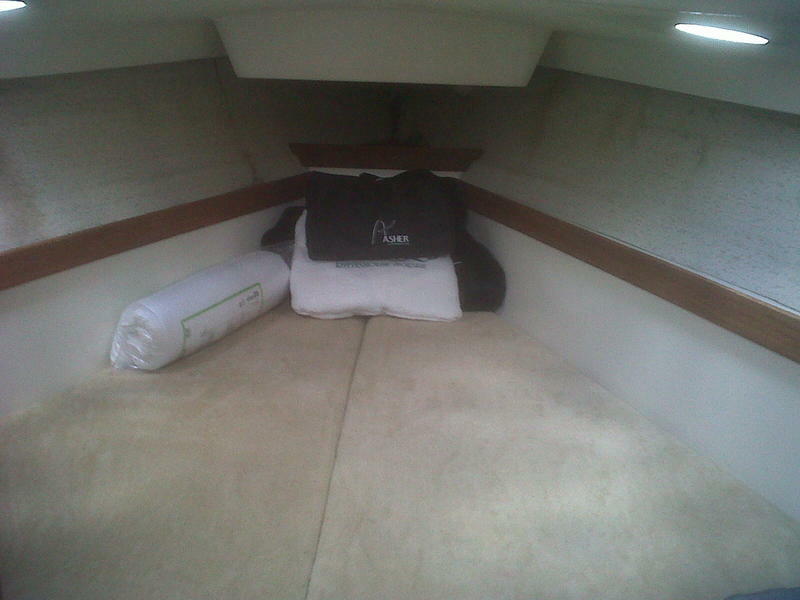 Bimini, Tiller cover, Main sail cover, Jib bag; bottom painted every other year with Micron Extra; yearly engine tune ups (new impeller 2010); new zincs; trickle charger for the 2 battery power system; new gas tank (12 gallons) with inline 6 gallon reserve tank (2008); knot meter and depth gauge, Windex, stereo AM / FM radio; outdoor speaker, ship to shore radio installed 2006; whisker pole, 2 shore power lines; wind scoop; tiller extention with lock off. Two winch cranks; 7 life vests; fire extinguishers; SOS light; radar reflector; hand held sander, buffer, first aid kit and emergency flares, and stowable swim ladder. Engine and cabin heaters; cabin fans and boom tent with bungee cords. In overall good condition. Crazing and chipping consistent with age. Needs some cosmetic work. 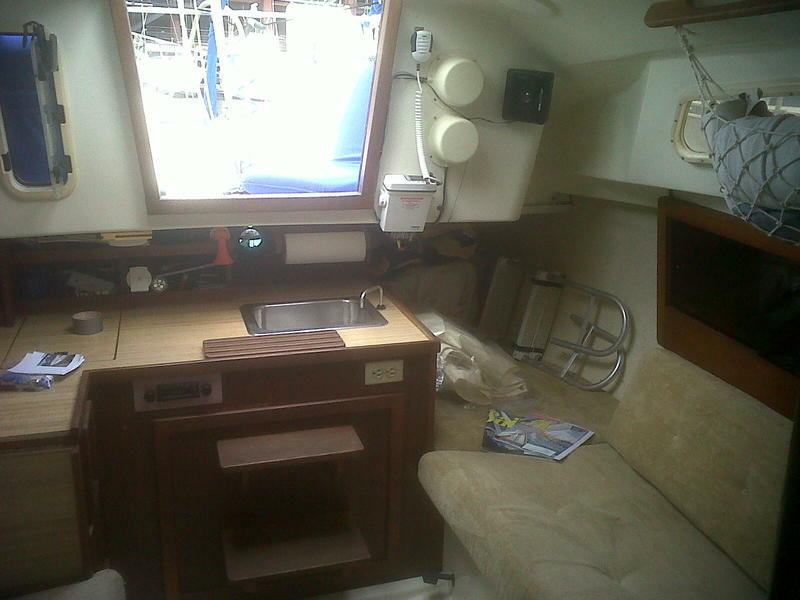 Comes with galley pots, dishes and utensils.